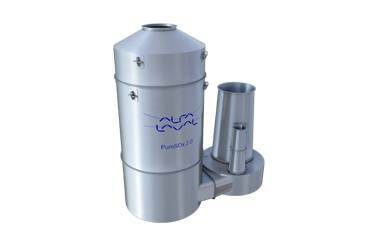 Alfa Laval reports its scrubber solution PureSOx has been the subject of many repeat orders. One of the major returning customers is the Grimaldi Group, which has now ordered its 10th installation of Alfa Laval’s exhaust gas cleaning system. The Grimaldi Group is a multinational logistics group specialized in the operation of RoRo vessels, car carriers and ferries. Through the maritime services of Atlantic Container Line, Finnlines and its other companies, the Naples-based group transports passengers, nearly any type of rolling cargo as well as containers and general cargo. Since PureSOx was chosen for four of its Finnlines RoRo ferries, the Grimaldi Group has continued to invest in the scrubbers. Installations are underway aboard Atlantic Container Line newbuilds that will be the largest ConRos in the world, and the Group’s tenth system was recently ordered for yet another Finnlines vessel. All four of the Finnlines vessels, which offer service in the North Sea and Baltic Sea, were retrofitted with open-loop PureSOx systems sized for operation in low-alkalinity Baltic waters. The Finnmill and Finnpulp received multiple-inlet systems, while single-inlet systems were installed aboard the Finnhawk and Finnkraft. In all cases, the systems were designed to facilitate later conversion into hybrid systems. Alfa Laval has a long history of experience in working with scrubbers, as well as a structured method for preparing a PureSOx installation. In the Finnlines projects, this contributed to an extremely efficient retrofit procedure. The vessels were able to run on HFO as soon as installation was completed, and the commissioning of the PureSOx systems by Alfa Laval took only around 1.5 weeks per vessel. After this, the crews were fully trained and the 100% operational systems were ready to have their compliance evaluated by RINA Services. Today the Grimaldi Group has five new PureSOx installations underway, this time at Hudong-Zhonghua Shipbuilding in Shanghai. The current projects are newbuild ConRos for Atlantic Container Line (ACL), intended to replace existing vessels in ACL’s transatlantic service. Not only will the Atlantic Star, Atlantic Sail, Atlantic Sea, Atlantic Sky and Atlantic Sun be faster and greener than their predecessors, they will also be the largest ConRo vessels in the world. Following installation, Alfa Laval will commission the systems in close cooperation with ACL and the shipyard. Once again, Site Acceptance Tests will be performed by Alfa Laval and RINA Services immediately after the commissioning. “We are looking forward to bringing these newbuild projects to a positive conclusion,” says Abbott. With work on the ACL newbuilds proceeding smoothly, the Grimaldi Group has placed yet another PureSOx order for the retrofit of a Finnlines vessel. The MS Finnmerchant will be deployed on a new Finland-Germany route between Hanko and Rostock, and again PureSOx was determined to be the best solution for meeting ECA requirements in the Baltic.